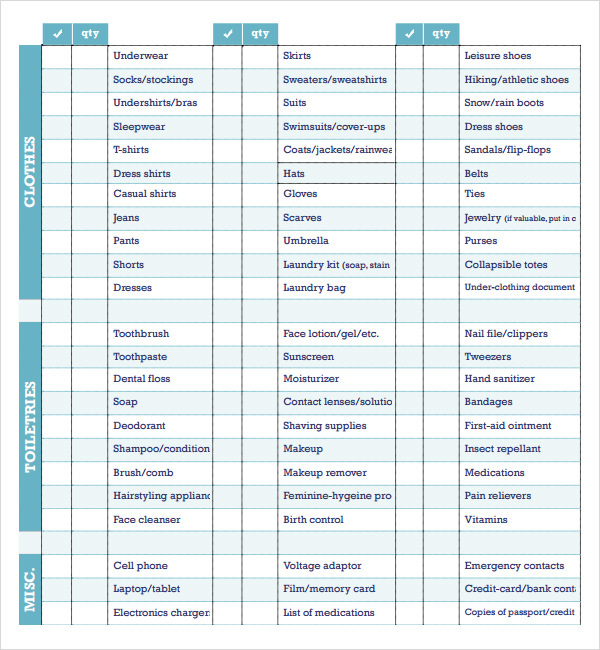 Do you ever get the feeling you have forgotten something but just cannot remember what it is when you pack? 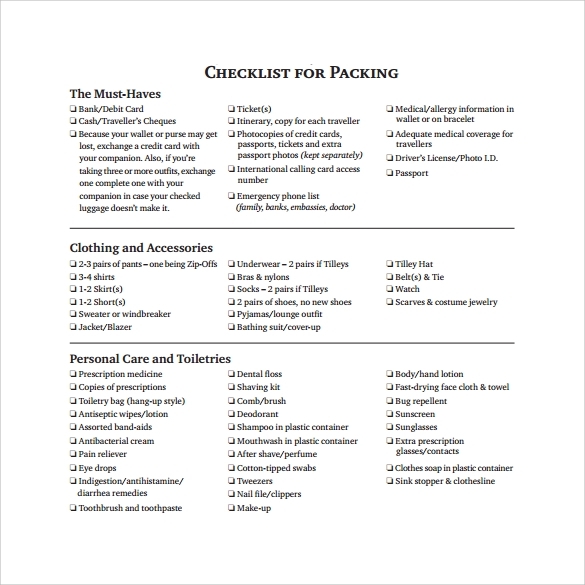 No matter what you are packing for, whether it is a vacation or a new apartment, packing can be a pain if not done in the right way. 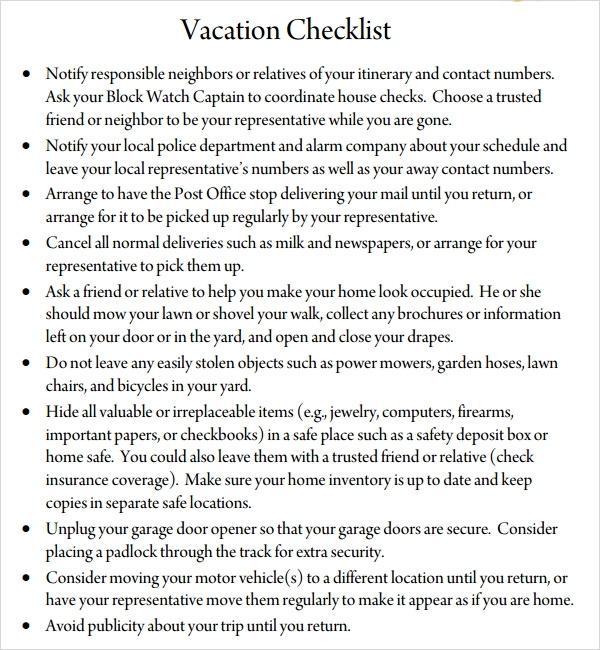 What you can do is use the various Vacation Checklist Templates which will help you get the job done. 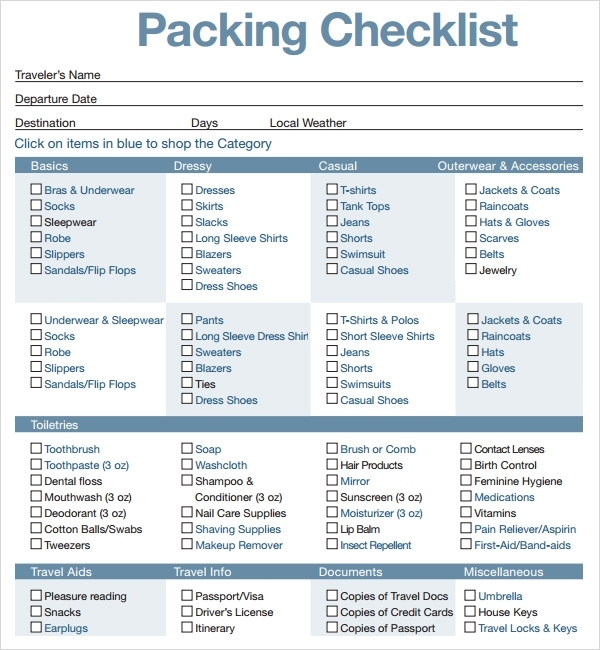 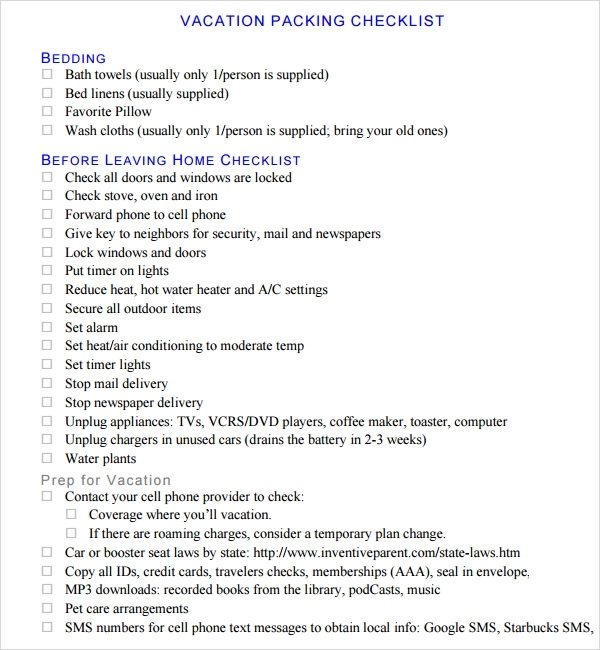 These Packing Checklist templates are also useful in saving time since you do not have to rack your brain and remember the stuff. 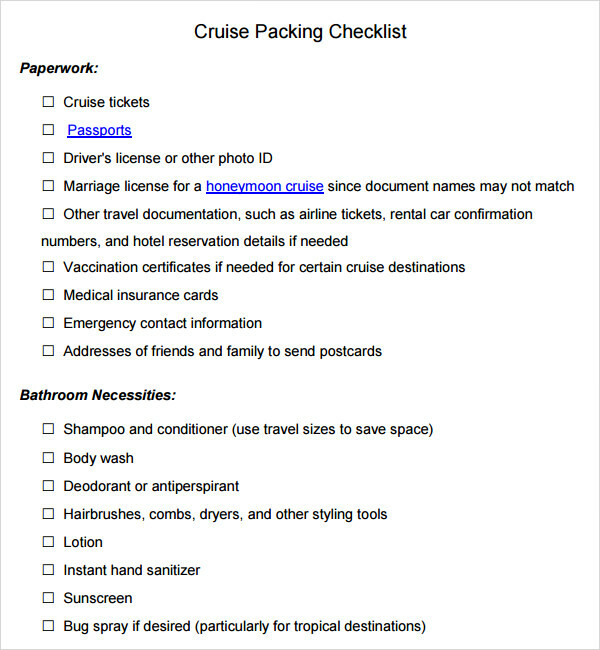 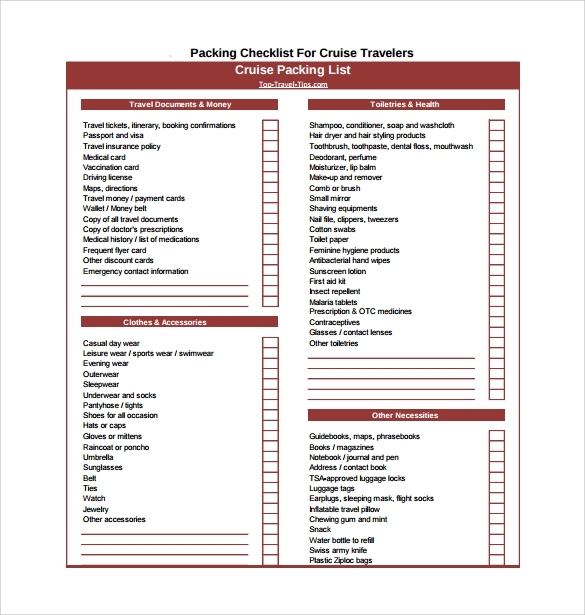 The Travel Checklist Templates keeps track of what you may need and you can just go checking the list as you pack saving time and making sure the process is efficient. 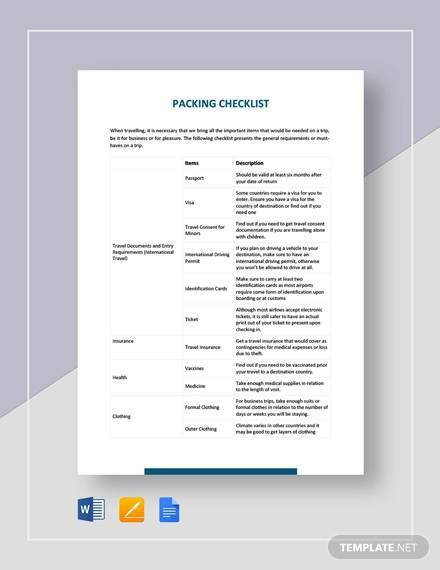 The premium features of these templates which include different layouts and styles are very nice and it helps in making sure that packing is no longer a boring task. 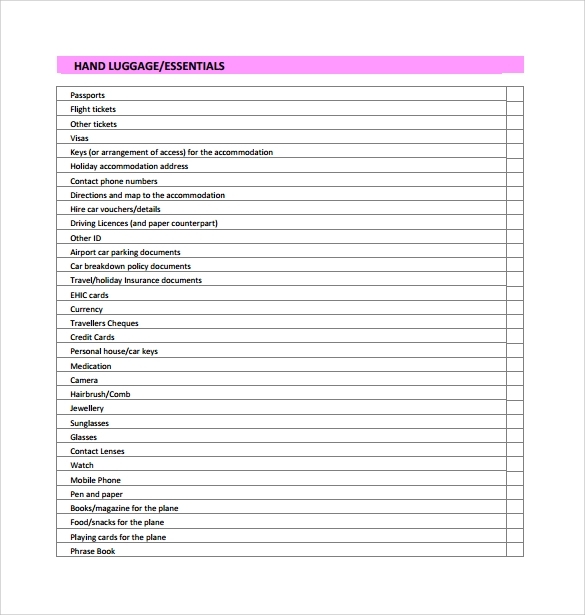 These templates give you detailed lists covering every item which you may need or may be found in your household. 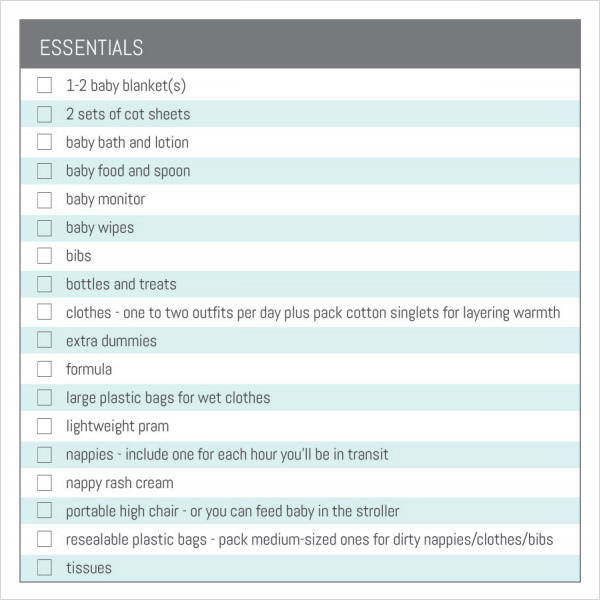 From toiletries to clothing every item can be seen listed down in these templates. 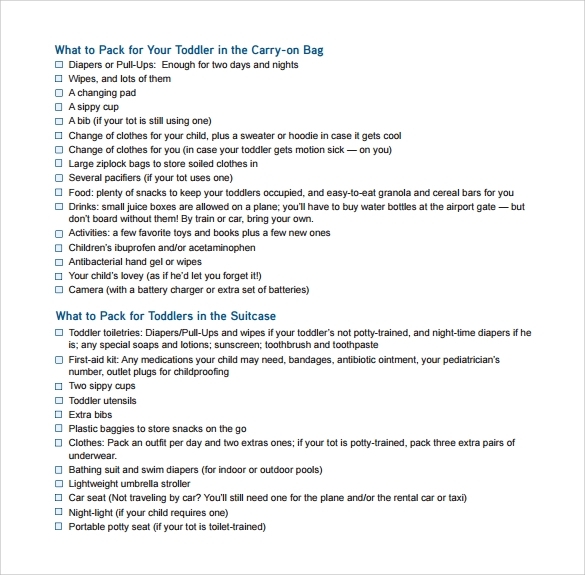 You will not need to use different checklists like packing checklists for babies or checklists for kids since these templates offer a very detailed packing list for your entire family. 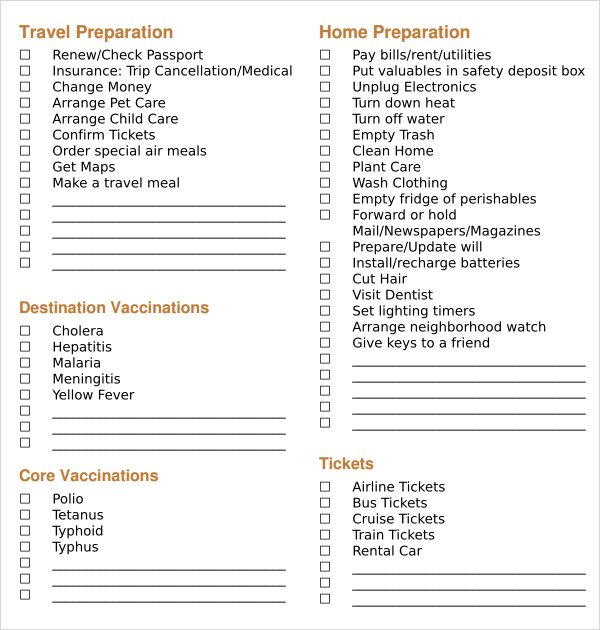 These printable templates are really easy to find and use. 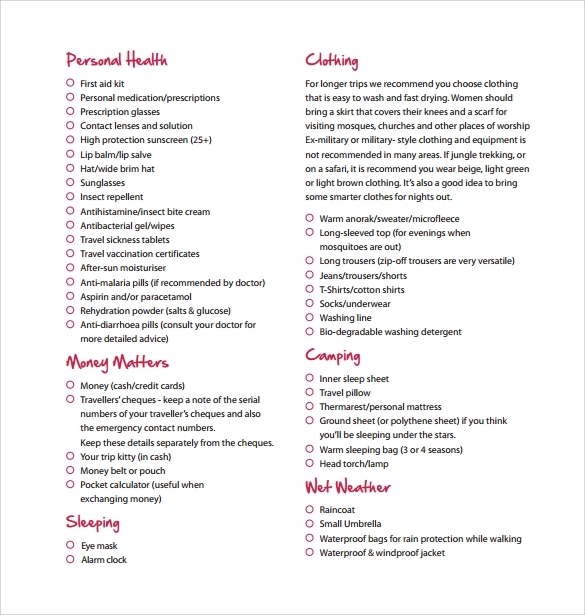 You can just download them in the format of your choosing and get them printed. 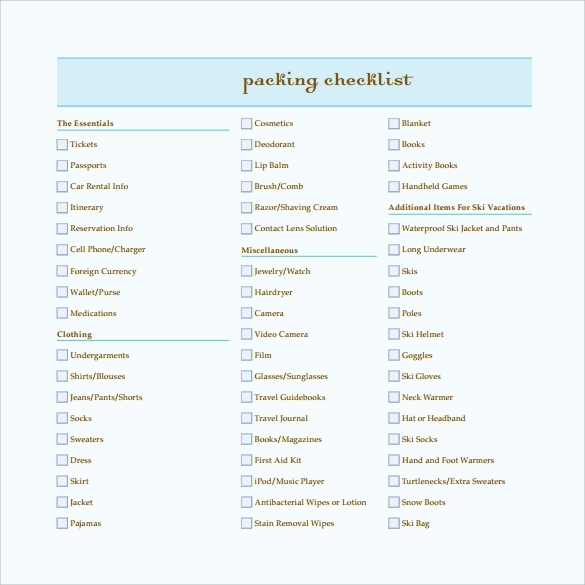 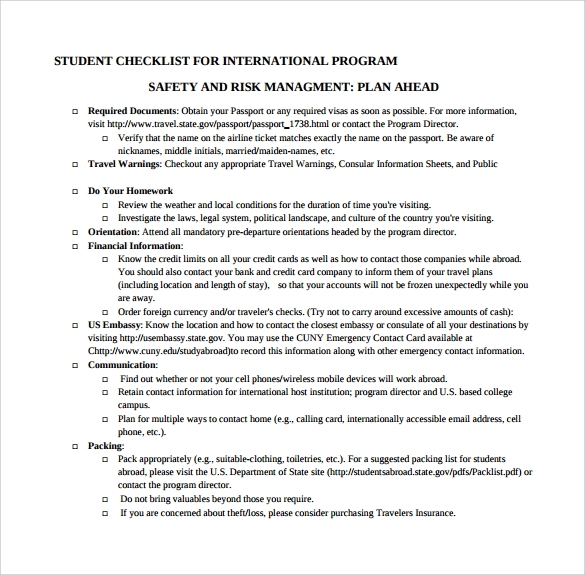 These templates are a bit similar to travel checklists and Camping Checklists Templates but these cover the task of packing in a better manner. 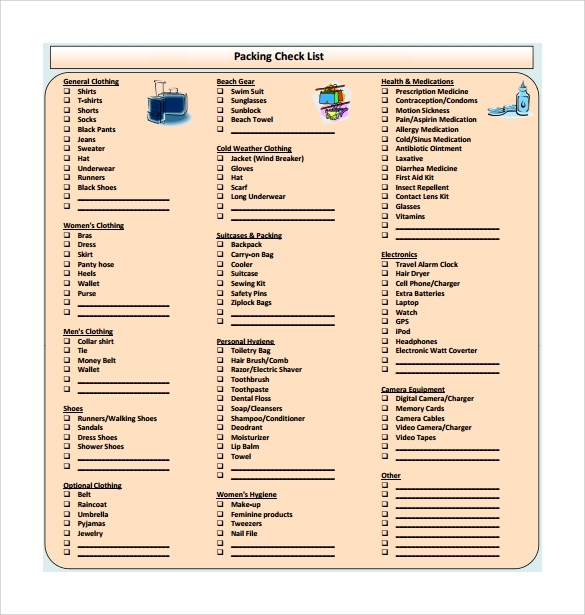 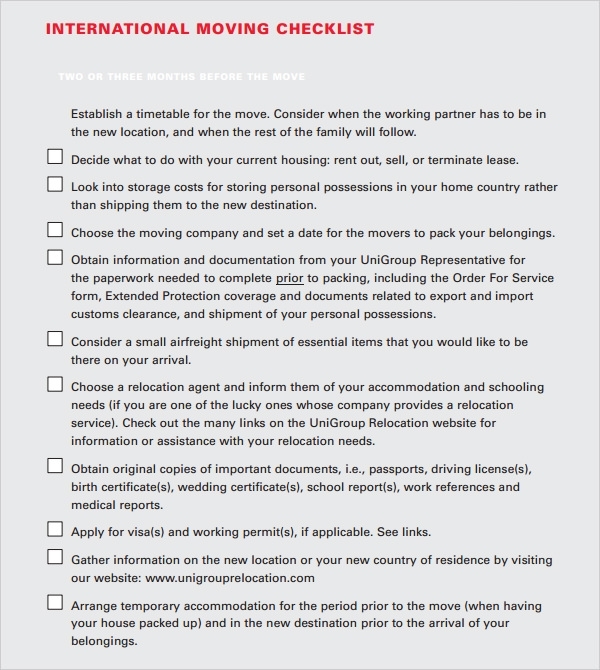 These Packing Checklist templates cover every item which you may need and gives you a complete list of the items required for packing.